my name is Amy, but I go by chicvibe. I have been simming since about 2002 and I enjoy helping people find custom content, assisting with game issues and now I am recoloring for TS4. 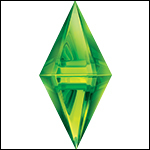 I also try to archive sims sites that have disappeared that I enjoy using and know others would too. My goal is to try and create positive connections to the Sims Community. Hi @chicvibe. We're glad to have you here! If you like helping people find custom content and preserve old files, consider becoming a Treasure Hunter.